Easter eggs in your favorite services 3 Google Search Easter Eggs You Didn’t Know About 3 Google Search Easter Eggs You Didn’t Know About Here are a few Easter eggs in Google's search engine that you might not have known about. Read More and products are awesome to discover, aren’t they? Here are three of them hidden in Firefox. 1. Learn more about robots: Type about:robots in the Firefox address bar and hit Enter. You’ll get Firefox’s humorous take on robots, as shown in the screenshot below. Have fun identifying the pop culture references. 2. Run Firefox within Firefox: Paste chrome://browser/content/browser.xul in Firefox and hit Enter. You’ll see a second instance of Firefox open up right there within the first. You can open up a third one similarly, but you can’t go beyond that. Have you discovered something funny or interesting hidden in Firefox? Tell us about it in the comments! 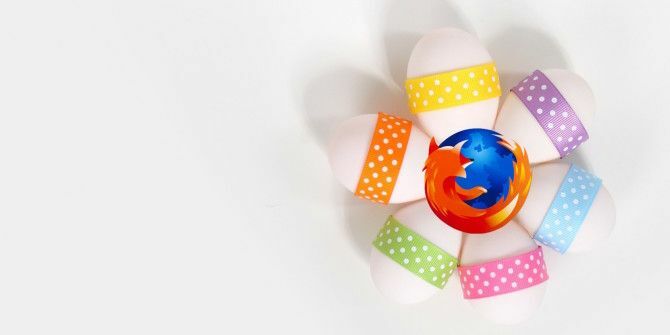 Explore more about: Easter Eggs, Mozilla Firefox.